Apple will pay Nokia patent royalties over the term of the agreement, starting with an up-front cash payment that should be recognized by the second quarter of 2017. Details of the renewed collaboration are being kept confidential. 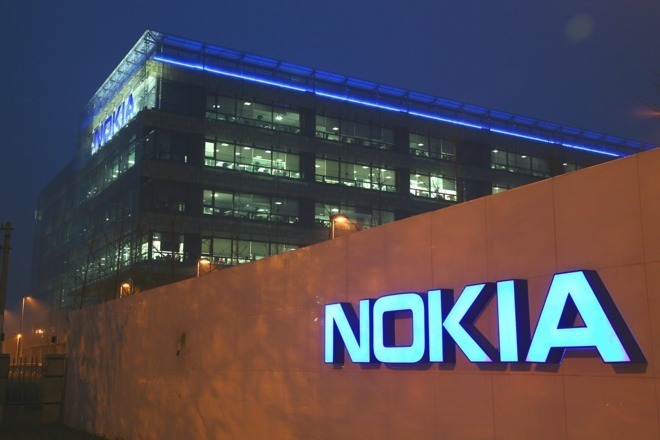 The settlement extends beyond IP, as Nokia has signed new business agreements to provide Apple with network infrastructure products and services. Apple in return is restocking its shelves with connected health devices formerly sold under the Withings brand, products that were removed from circulation as a result of the patent row in December. Further, the companies said they are exploring future collaboration on digital health initiatives. "We are pleased with this resolution of our dispute and we look forward to expanding our business relationship with Nokia," said Apple COO Jeff Williams. To cement the new arrangement and keep the newfound peace, Apple and Nokia plan to hold regular summits between company executives. Apple sparked the court kerfuffle in December when it leveled a lawsuit against Nokia and nine patent holdings firms, claiming the NPEs are working with Nokia to "extract and extort exorbitant revenues" from Apple and other manufacturers. As part of its opening legal volley, Apple said it would no longer pay Nokia royalties on IP used in products like iPhone. In response, Nokia sued Apple in 11 countries including Germany and the U.S., alleging violation of 32 patents related to video coding technology, chipsets, antennas, displays and more. Nokia later expanded its legal barrage to 40 active suits worldwide, and sought to block U.S. imports of alleged infringing devices. The new detente is reminiscent of a patent licensing agreement Apple and Nokia reached in 2011. Prior to being purchased by Microsoft, Nokia filed a number of lawsuits against Apple between 2009 and 2010 claiming infringement of patents covering GSM, camera subsystems and touch input, all key features of iPhone and iPad. Apple retaliated with a countersuit claiming violation of 13 patents. Ironically, Apple cited the 2011 arrangement as a basis for its legal action in December, saying the deal served as a bedrock for "an illegal patent transfer scheme" involving patent aggregators like Acacia Research and Conversant. Whether the new agreement will hold is unknown, but executives are hopeful that both companies can move forward without once again resorting to legal measures. "This is a meaningful agreement between Nokia and Apple," said Maria Varsellona, Chief Legal Officer at Nokia. "It moves our relationship with Apple from being adversaries in court to business partners working for the benefit of our customers."